It's time for a new Moodboard Girls layout! 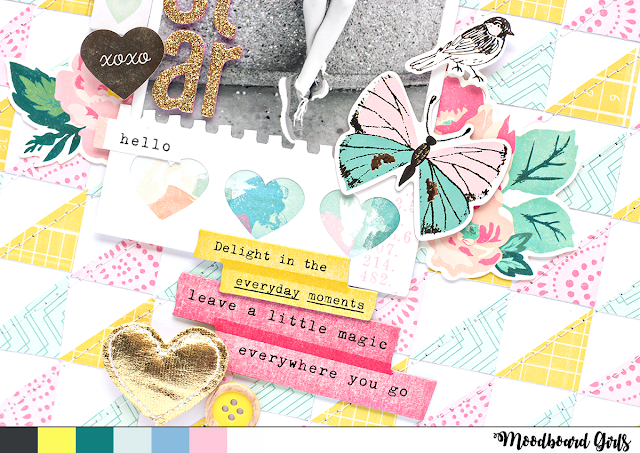 Each month, there is a new moodboard to inspire you and some amazing inspiration from the talented MoodBoard Girls! This month's board is by Christina and it features some of my favorite colors, so naturally, I went with the color scheme for my layout!! Make sure you visit each of the ladies Instagram feed to see what they created! 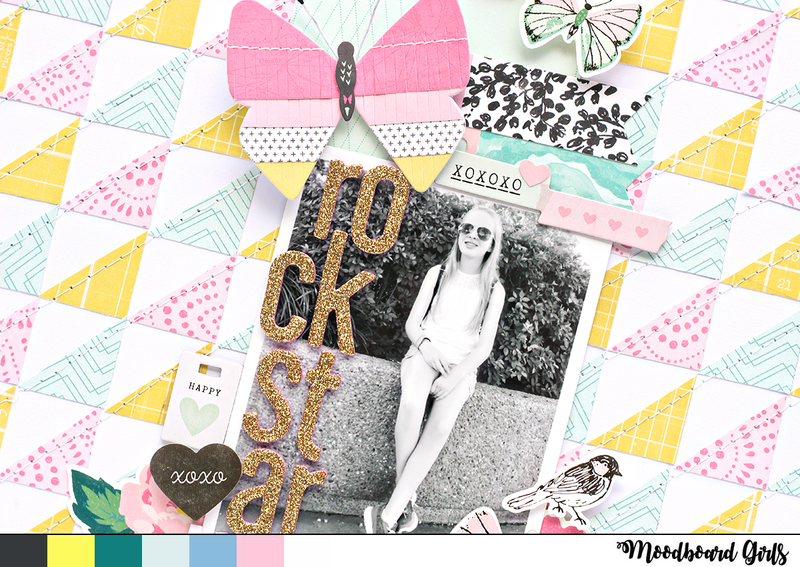 And if you would like to create something based on the May Moodboard, make sure you share it on Instagram with the hashtag #moodboardgirls, so we can leave you some love! Also, you'll find a giveaway on my Instagram as a part of the Moodboard Girls first birthday, so head over and check it out! 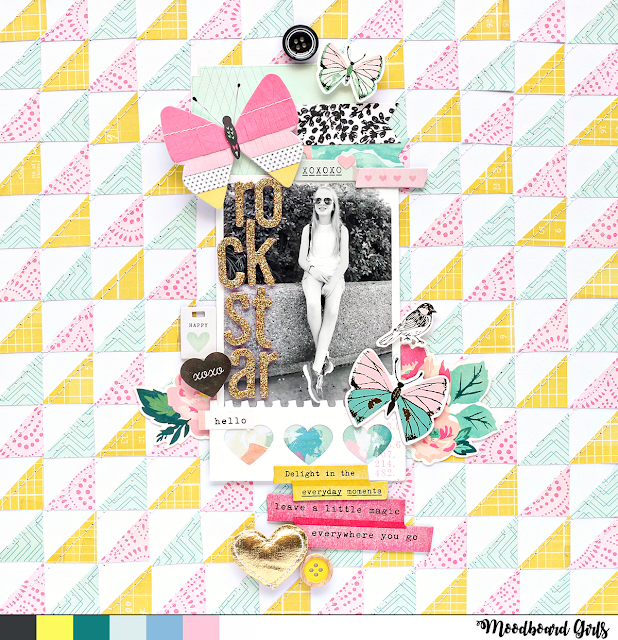 It could be a Gift Certificate for some fun, scrappy shopping at Paper Issues! !